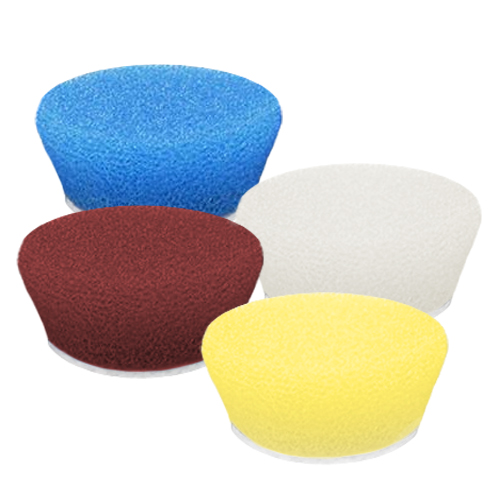 Buff and Shine 2� Uro-Tec Pads. For use with Rupes Nano ibrid Polisher. The Uro-tec pads are made to be perfectly balanced on Rupes Nano ibrid Polishers. The open cell construction dissipates heat quickly and allows long cycle times without a reduction in performance. The Buff and Shine Uro-Tec 2� pads are manufactured for maximum performance. You can expect the best quality with Buff and Shine products and as always, proudly made in the USA. Pads measure 2.125� on the back and 2.5� on the front foam x .75� thick. Use the drop-down menus to mix & match your selection from 4 different colors.